The Rt Revd David Thomson DPhil, FSA, FRHistS was Bishop of Huntingdon (Suffragan within the Diocese of Ely) from 2008 – 2018. He is married to Jean, with two sons and two daughters and a growing gang of grandchildren. He was educated at King Edward VII School, Sheffield; Keble College, Oxford (MA [English Lang. & Lit. ], DPhil 1978); Selwyn College, Cambridge (BA [Theol.] 1980, MA 1984); and Westcott House, Cambridge. He initially worked in Higher Education, lecturing at Wentworth Castle College of Education and tutoring in Oxford, before preparing for ordination in the Church of England as deacon, 1981, and priest, 1982. He served as Curate in the Maltby Team Ministry, 1981–84; Team Vicar, Banbury, 1984–94; Team Rector, Cockermouth, 1994–2002; Archdeacon of Carlisle, and Canon Residentiary, 2002–08, before serving as Bishop of Huntingdon between 2008 and 2018, when he retired. 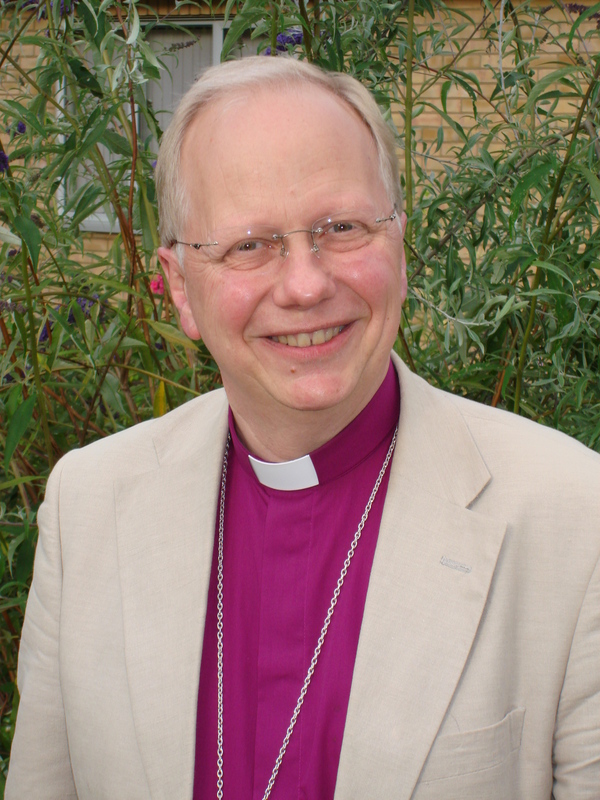 Between September 2013 and Easter 2015 he was seconded as Acting Bishop of St Edmundsbury and Ipswich; and for a number of years was Vice-Chairman of the National Society (the Church of England’s leading educational boday) and chaired its Schools Development Group, following many years of involvement in education in teaching at all levels, serving as a school governor, including chairing the governors of the country’s then largest C of E High School, and chairing Ely’s Diocesan Board of Education. He was Chair of the Cambridgeshire Historic Churches Trust, the co-founder of the Cambridge Conversations, a significant forum for building social capital in the Cambridgeshire area, and served on the Huntingdonshire Strategic Partnership while it was in existence. His publications include A Descriptive Catalogue of Middle English Grammatical Texts, 1979; An Edition of the Middle English Grammatical Texts, 1984; A Journey with John, 2004; Lent with Luke, 2005; Christmas by Candlelight, 2006; Ways to Pray, 2007 – and is currently writing a book on Roots – Shoots – Fruits as a model for the growing church. He remains active in academic research, most recently on the iconography of the Bewcastle Cross, the earliest stained glass of Cambridge University, and the legacy of bishop-scientist Robert Grosseteste in the later middle ages, and is a Visiting Fellow in the History Department of Durham University and at St John’s College there. he is also a Research Associate of the Faraday Institute based at St Edmund’s College, Cambridge, with a keen interest in the interface of science and religion. David’s recreations include solving fiendish crosswords, detective fiction, and fine art. What are your thoughts on Women Bishops? I would be interested to know your thoughts and feelings on this topic. We look forward to getting to know you better in st eds and ips.